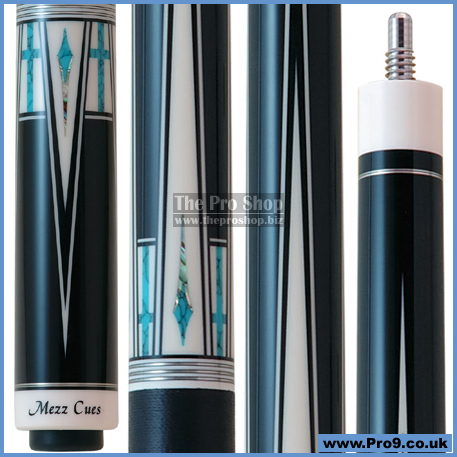 This Mezz "Mika Immonen" professional model cue features Ebony, Paua Shell, Juma, Turquoise, Silver Rings and Aegis Rings. Joint: United Joint (super precise joint system). Joint Construction: White Aegis joint collar.